Obverse: (star) THE.TRVMPET.IN.KINGS, around twisted wire inner circle, trumpet within. Reverse: (star) STREETE.WESTMINSTER , around twisted wire inner circle, .C. over T (rosette) I within. However, there are strong arguments that this token cannot be identified with any of the above. Firstly, in his diary entry for Saturday 9th January 1663/64 Pepys refers to the Trumpet as Mrs. Hare’s. Not a Mrs. C’s. 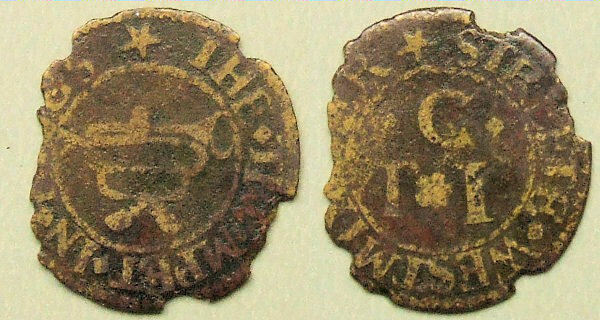 Furthermore the style of this farthing token would identify it (and hence the tenancy of its issuers) with an earlier date than 1664. It is perfectly conceivable that by the time of the 1664 Hearth Tax our Mr. and Mrs. “C” may well have moved on. 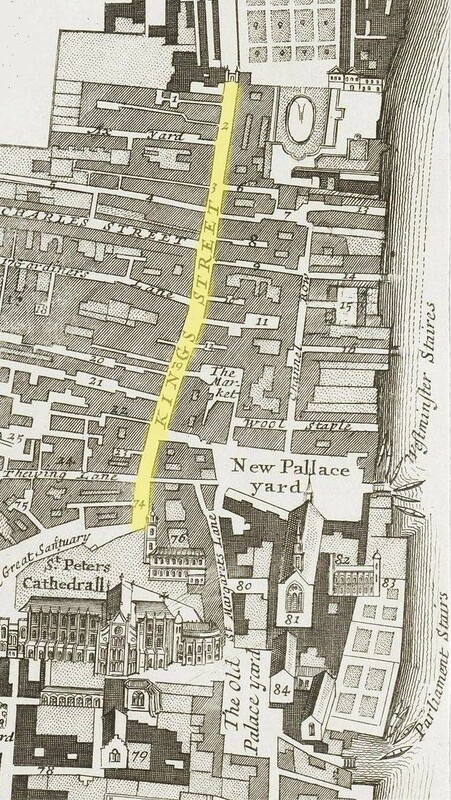 The Trumpet is one of five taverns in King Street, Westminster, that was mentioned by Samuel Pepys in his diaries. The other mentioned were; The Bell, The Dog, The Sun and The Angel. The Angel and The Trumpet are the least two mentioned of this group and were obviously not his favourite drinking establishments in the street. The Trumpet is mentioned in five separate entries in Pepys’ diary as listed chronologically below. On the last occasion (in January 1664/5) it appears that he was using it as a rendezvous for one of his many illicit extra marital liaisons, safe in the knowledge that none of his acquaintances would be there.